When I am on holidays I make a mental list of things I need to do on my return home. I call these Gunnas (things I am going to do do). What struck me on our recent trip through China, Japan and South Korea was that Gunna figured in the vocabulary of many of the tour guides we encountered. 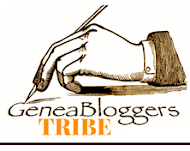 While I was away I found it easy to keep up with geneanews and to share Geniaus' Gems on my microblogging Facebook Page, https://www.facebook.com/geniauspage/. However I don't have time to write lengthy blog posts, prepare presentations or answer queries from readers, I could make time but I prefer to direct my attention to the sites I am visiting. So what of my Gunnas. 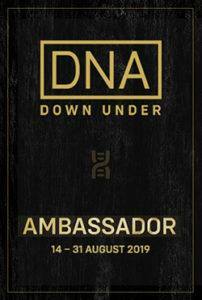 * I need to add a DNA Downunder Ambassador badge to this blog. I am one of a number of my Genimates who have been appointed as Ambassadors to promote and enthuse fellow genies about this around Australia event that will take place in Australian Cities in August this year. I congratulate Alan Phillips for bringing together this cast of DNA Gurus to teach us about genetic genealogy. From what I have seen on social media already one would have to be living under a rock to miss the news of his event. However if you wish to register at the earlybird rate you had bettter get cracking and do it now before the end of April. See https://www.dnadownunder.com/ for details of the event in the city closest to your home. * I must register for the Sydney 3 Day DNA Downunder event before the venue reaches capacity. It would be embarrassing if this Ambassador couldn't secure a seat. 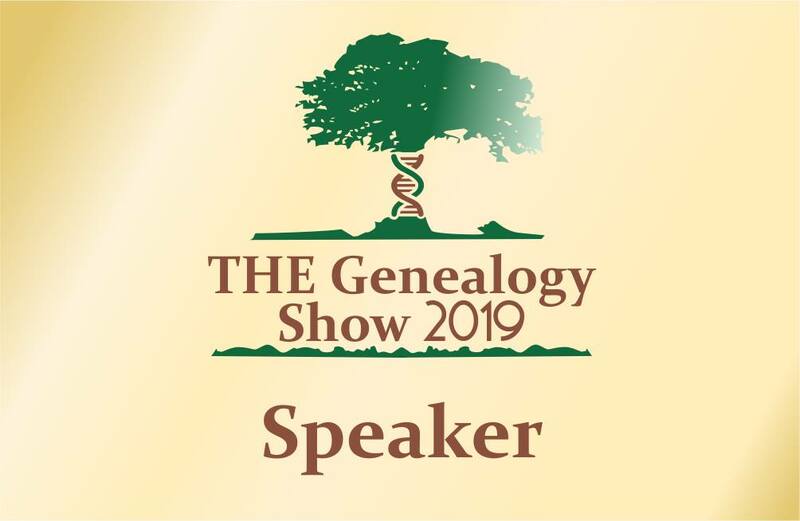 * I have two talks to prepare for THE Genealogy Show that is to be held in Birmingham, England in June. If you have been considering a geneajourney to THE Old Country it's not too late to grab a cheap airfare to London and combine a visit to ancestral towns and villages with attendance at this conference that has presentations from speakers from the UK, Europe, the US and Canada and downunder. Several of my Australian genimates are making the journey to THE Show so you will have good company. 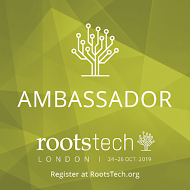 * I still have a few videos from Rootstech 2019 to add to my Youtube Rootstech collection. * I need to get cracking on a guest blog post for next week. I'll share the link once it is posted. * Cousin Bait can reap rewards but it also hooks distant or potential cousins who need help with their research. I have a few such messages that I need to follow up. These queries came to me via this blog, Ancestry and my family website. * Not many DNA matches contact me but a few that I have contacted have responded to me so I must follow these up lest they lose interest. * A twelve hour wait at Tokyo airport the other day gave me an opportunity to catch up on blog reading. I am particularly enjoying Carmel Galvin's and Pauleen Cass's posts in the Blogging from A to Z April Challenge. I must admit I don't read all the posts about people's ancestors that come through my feeds but I love those with themes that interest me. In her posts Carmel shares recipes that remind me of childhood days while Pauleen recounts tales of her times living in PNG. Having taken part in the Challenge on a couple of occasions I understand the effort involved and congratulate those who have the stamina to reach the finish line. * Before I go travelling again I must schedule some blog posts for the Geneadictionary. Thankfully I keep coming across new words and phrases used in genimates' writings. *All of the DNA Kits I administer have moved from Gedmatch to Genesis so some investigation is warranted. * Then there is my own research and chasing up more DNA matches!!! 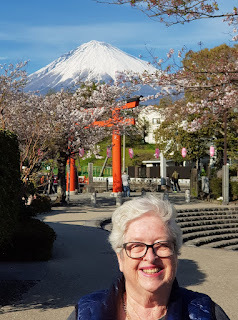 I have four and a half weeks before we set off the the UK for a Garden tour and a bit of research prior to THE Genealogy Show so I don't have time to dilly-dally. As I brought a bug and dose of asthma home from Japan I am confined to quarters for a few days so I have some time to concentrate on my Gunnas. One of the more popular posts on my blog to this day is "Fling it in the Folder" a description methods. As I wrote this post 8 years ago I thought it was time for an update. I still use the same system but have tweaked it a bit and changed some of the software I use. I am reposting my post from 2011 with alterations and comments in Green. I have already spoken of my scanning station (I now have a Scansnap scanner on my desk connected to my computer via USB) and my commitment to scanning all the bits of paper I have related to my genealogy obsession. I have also talked about what I do with conference papers. My system is to "Fling it in the folder". I have a series of folders set up on my hard drive, each file I have, irrespective of format, goes into the appropriate folder or sub-folder. All my image files are additionally tagged with Picasa ACDSee software. The folders are: I have added a few extra folders. Curry All stores files about the Curry surname in Australia ready for when I have the time or inclination to conduct a one-name study. Renamed CurryAus for my Surname Study. Geniaus Talks is the home of my talks and presentations and articles I write for journals, newsletters etc. Once I have more than three or four files for an individual he or she gets a folder labelled with: Lastname, Firstname DoB and Date of Death. Places is similar to names but contains folders with maps and information about the places of my ancestors. These include, Towns, Houses and Churches. Research Log and Plans does not house my master research log(that is a Google Docs spreadsheet) Now integrated in my Family Historian software but the smaller logs I create when I am going to visit a particular repository, resource or place eg The National Archives, The Family History Library, or The National Library of Australia. TMG and TNG are where one finds files relating to my two genealogy software programs. These folders do not have family data. I no longer use TMG so have created a folder for Family Historian my current software of choice. I keep and tag all of my bookmarks in Delicious Evernote and use Picasa ACDSee software. to tag and organise my photographs. Librarything is my program of choice for organising my books. Found while I was lost in Trove. In response to a post from Carmel Reynen on Facebook recently. Lisa Vassallo in a comment said "I would like to know what people are doing to keep it all going." The conversation was all about our family history research and passing it on. My lengthy response was along these lines (I have edited and formatted it since I posted on Facebook). Interest waxes and wanes. With 16 descendants I hope someone inherits the geneabug. 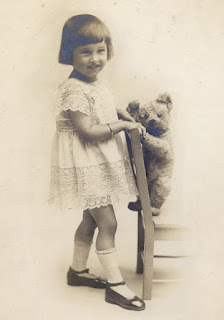 My children all follow my blog and are most interested when I share an ancestor story. I let grandchildren enter data into my family history program (after I have backed it up) and I let them search it. They love looking for people with their own forenames or funny names, those that share a birthday or seeing how many people come from a certain town, country or village. The kids have enjoyed looking at my family website and creating the ancestor and descendant charts available there. Two of my children and two of my teen grandchildren have done DNA tests. They enjoy hearing about the results after I have done the hard slog of working out the matches..
Ancestor and old photos are another turn on, I have them all digitised and sit at computer with kids and go through them. I find anything we can do together at a screen piques their interest. We have obtained three grandfather clocks made by an ancestor. These are each in a family home and are a constant reminder of the kids' heritage. We willingly lend precious artefacts to grandchildren to take to Show and Tell at school (it's always a relief when the items are returned). Stories of our 10 naughty convict and other black sheep ancestors give them a giggle. They are also impressed by the few famous cousins in our tree. Sharing family snippets from Trove gets a response. I try not to bore the socks off family members but to create an environment that provides opportunities for them to learn about their heritage. You can lead a horse to water but you can't make it drink!